There are 19 reviews of Jimmy Choo Man. 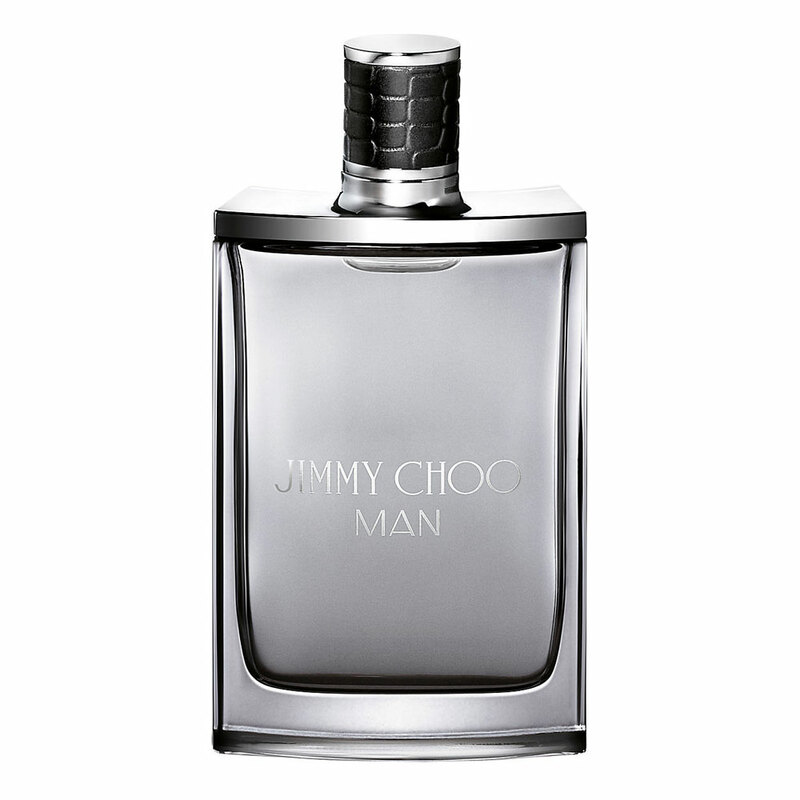 Jimmy Choo Man (2014) is the debut entry into men's fragrance from the high-end shoe maker, and although it might feel common now that many other fragrances have come out in it's wake emulating what it had to offer, the fresh, clean, sweet, and bold scent of Jimmy Choo Man actually presaged many of the fruity amber-woods scents which now proliferate shopping malls. Anne Flipo was brought on board, and having done Invictus (2013) for Paco Rabanne the year before, plus having done some extensive work for both L'Artisan Parfumeur and Yves Saint Laurent (particularly in the L'Homme line), she seemed like a perfect fit. Indeed, what Anne concocted would be the next stepping stone towards the loud synthetic amber bomb new-age powerhouses we suffer today, but thankfully she didn't imbue this scent with quite the same volume. Now, I like do like some fruity fresh stuff from this genre, like Versace Pour Homme Dylan Blue (2016), they're usually the exception to the rule, and not an embodiment of the rule itself. Jimmy Choo Man created a style that has now been mimicked a half-dozen times or more since it's release, and the only bit of sympathy I can have for it is that most of its plagiarists have overshadowed it in popularity, but pity points can only go so far. In a nutshell, this is the "Ur Sweet Woody-Amber", as Bleu de Chanel (2010) pioneered the use of synthetic amber and synthetic woods together under a pyramid of cool, peppery notes, but it wasn't necessarily going for sweet, and more of a bridge between aquatics and where we ended up in the 2010's. Jimmy Choo Man really feels like it builds upon Paco Rabanne Invictus, but not by adding to the formula and making a more sophisticated experience, but by swapping out some top notes and riding on the same base, taking the same basic scent in a slightly different direciton. The scent opens with a surprising return of the late 80's/early 90's synthetic staple known as calone; that damnable melon-like shimmery note that ended up in everything "fresh" made from the end of the former decade to damn near the end of the latter, but here calone is molded into a richer fruity cocktail with a pineapple note, lemon, and a round lavender. Off the top, this 90's to 2010's bridge is made in my mind, but I don't know how many younger men who've had no experience with a bottle of Aramis New West (1988) or Calvin Klein Escape for Men (1993) will make that connection. It's pleasant enough and not very loud, but the opening soon gives way to a chemical bath of pink pepper, patchouli, and Iso E Super, which helps make the fruity notes shine even harder. base notes are rather droll, with white patchouli (whatever that is), a synth suede note, ambroxan, norlimbanol, and musk. The slightly whimsical fruity opening and aromachemical heart is an interesting melding of decades, but the base follows the same riff every major designer has tried since Bleu de Chanel first defined this direction. Wear time is decent at about 7 hours, but sillage is only moderate for something that by rights should be louder by its very nature. Because of Jimmy Choo Man, the world received such fruit-topped amberwoods wonders as Versace Pour Homme Dylan Blue (which I like), Jean Paul Gaultier Le Mâle Eau Fraiche (2016), Emporio Armani Stronger WIth You (2017), Y for Men by Yves Saint Laurent (2017), Acqua di Giò Absolu (2018), and countless others I'm probably leaving out. I don't hate this, but I've smelled this or it's children so many times that I have a hard time investing in it emotionally, and Jimmy Choo Man just sort of comes across as "the way guys smell" now, and that generic association isn't a good thing. 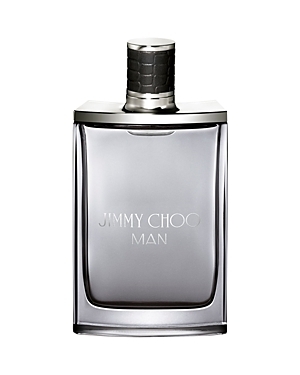 Dylan Blue had this neat soapy factor which tied it in slightly to the fougères of old, which complimented its modern fruitiness, which is probably why I liked it, but Jimmy Choo Man just serves up the same dish without anything besides throwback calone in it's top. I like calone when in a relevant composition, but like in so many also-ran scents of the 90's which are utterly forgettable, tossing calone into a modern composition just to get that "melon smell" when it doesn't really relate much to the rest of the scent just makes it seem like an awkward try-hard attempt to stand out. I'll let you all be the judge of that for yourselves, but for me, I can't really feel anything other than indifferent about Jimmy Choo Man, but I give it credit where credit is due for starting a trend. Neutral rating for me, this is a fruity freshie for guys who don't really like wearing fragrance but feel they have to in certain contexts. Blah. FIrst time today with a full wearing and I just wanna say this is a terrific smelling fragrance! I see where people are saying that there is a slight nod to BdC. I sort of get that in the very first few minutes of the opening....but honestly, it’s fleeting and not really all that close to my nose. What I do get in the dry down though is something that reminds me of a more mature version of A&F First Instinct believe it or not. Kind of this semi-sweet fruity/airy/spicy/suede thing going on. Very nice!!! People complain about longevity, but I used 3 sprays(on clothes, in full disclosure)applied 7hrs ago and I still smell it just fine. I would even say the first 3-4hrs it was projecting nicely. Sure, it’s nothing super unique...but at $26 for a 100ml, it’s a great smelling and good performing frag IMO. Very pleased with this blind buy! Jimmy Choo Man is, to me , a nice every day cologne. I just got it today as a box set with the deodorant and after shave for $24. I pick up the pink pepper and fruity notes with the first 30 minutes and it dries down with more of a woodsy scent but very light. I wish i was smelling more suede, as i feel it would make this scent more...sophisticated i guess. It almost reminds me of Gucci Guilty once it dries down. Jimmy Choo Man is light and sweet, not something you would expect from most men's fragrances, which makes it somewhat unique and refreshing. I don't mind it at all as a spring/summer go-to. Opens very bright and fruity..must be the melon and pineapple..slowly becomes a bit floral and synthetic with a slight hint of leather ..I find it very feminine and kinda reminds me of a lot of generic female fragrances. I do like this scent tho and it's at a great price point at the time of writing, I think it will garner lots of compliments due to its universally pleasing smell but it's not interesting or unique in anyway. Not bad, generic starts off smelling like every other Citrus Fougare with spices added. It does grow on me over time. I like the dry-down more than the opening. 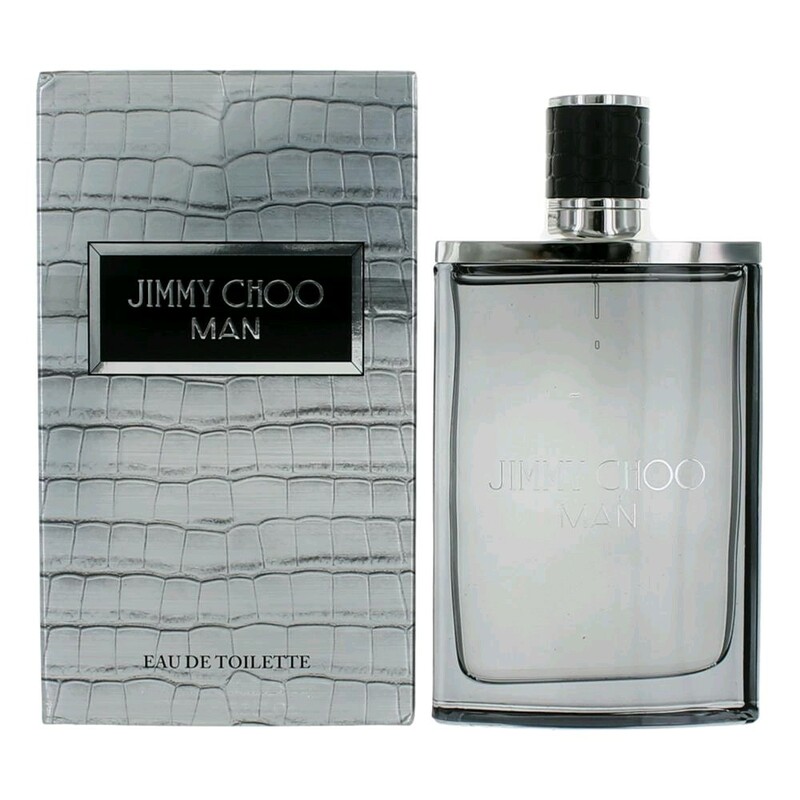 Jimmy Choo Man Eau de Toilette 3.3 oz. There are no member images of Jimmy Choo Man yet. Why not be the first? Jimmy Choo Man Ice. If you love Dior Homme Cologne! Is Jimmy Choo man worth it ?